Bookshelves are relatively inexpensive, and while many homeowners have some kind of covered storage in their living rooms and other spaces, it’s pretty common to see it without any kind of display-worthy décor. A well-arranged bookcase can make a wonderful focal point, so make sure you’re making yours work for you! Many reputable decorators recommend mixing two-thirds books on covered storage to a third miscellaneous décor. Try to keep your less attractive books and items hidden to the sides, and make the more visually appealing items central to the focal point. Just try to resist the urge to fill every last inch of space, and give the objects some breathing room. When everything in a room is tightly packed together, it immediately makes people feel slightly on edge. A lot of people go the more minimalist route with their walls; painting them a solid color and leaving them fairly bare otherwise. If one of your rooms is lacking a focal point, hanging up a large mirror, a cluster of small pictures, or even something more extravagant like indoor waterfalls, can all be great ways to create one. Many people who don’t have a focal point in their living room, have been taking an approach that allows them to kill two birds with one stone. Covering the window with floor-to-ceiling curtains, made in a fabric that coordinates the mien of the surrounding place, is an exceptionally easy way to create an effective focal point. However, if you’ve already got a fairly minimalist tone going on in the rest of the room, you may want to go with something eye-catching and interesting in fabric choices. 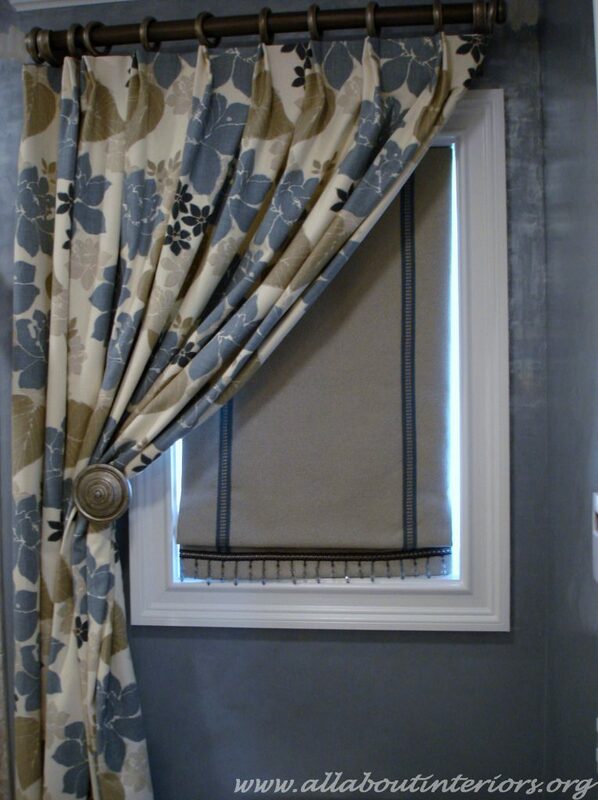 All About Interiors has a custom workroom and can customize any fabric to create a beautiful, eye-catching window treatment. While a correctly used focal point can have the remarkable effect of making a room appear larger. If it’s surrounded by garish light that makes the whole space appear flat, it might feel like the walls are closing in around you! The lighting around your focal point needs to be layered accordingly. An assortment of lamps at different heights, and different wattages of bulbs, can be scattered throughout the room to soften the light. That will help the focal point to flow into the surrounding décor. Track ceiling lighting, art lighting, and under-counter lighting can also be helpful tools; allowing you to highlight specific focal points if they’re a bit small or seem to be overshadowed. Wall sconces flanking a fireplace can also create a more balanced ambiance. Hopefully, this little post has helped you really get the most from your focal points! Contact All About Interiors to get your focal point on pointe.